Virtual Servers vs. Physical Servers: Which Is Best? Modern IT management is tasked with finding cost-effective data processing and storage solutions that balance their organization's need for risk mitigation, varied treatment of data types, and in many cases, regulatory compliance. Deciding between physical servers and virtualization isn't a simple choice at many organizations, due to complex business requirements and the pros and cons attached to each option. In this blog post, you'll learn the benefits and risks of physical servers and virtual environments and 11 factors to help you choose what's best for your business. A physical server is piece of equipment on which data is stored and read. This may be located onsite in your server room, or it could be stored at a colocation facility (a data center) with a trusted vendor. Physical servers are generally owned, managed, and maintained by your company's staff. Your IT team has full access to your dedicated server resources 24/7/365, which can be advantageous for high-demand or business-critical operations. Depending on your needs, the server may be located onsite or in a conveniently-located colocation facility. Your IT staff can fully customize and configure the server to your specifications and business requirements. Relatively high cost of server purchase, maintenance, and in the case of hardware failure, replacement. Your IT staff will be responsible for setup, configuration, and maintenance on a continual basis. You may need to hire a contractor or vendor for help if you have difficulty with configuration or repairs. Users cannot scale storage in small increments once you reach the maximum workload, since you purchase and own the hardware. Requires physical or colocation space. Virtualization is the act of placing multiple "virtual servers" on physical equipment. This allows physical server resources to be split between multiple workloads for maximum efficiency and cost savings. Virtualization typically occurs in the cloud or on servers that are owned, maintained, and located offsite. Hiring a hosting vendor who offers secure cloud services is the most common way that organizations switch to virtualization. Fewer upfront costs, since you are not required to purchase hardware. Potential for lower lifetime costs on configuration and maintenance. Access to expert assistance on setup, configuration, maintenance, and software licenses. Reduced need for in-house IT talent. Potential to consolidate servers and increase workload efficiency. Reduced environmental footprint, due to shared workloads. Potential for higher recurring monthly costs, as opposed to higher upfront investment. Possible issues with application compatibility, which are best discussed with a knowledgeable vendor. Not all vendors are amenable to scaling your agreement up or down in small increments, which largely depends on vendor policies and service level agreements (SLAs). You are no longer independently in control of your physical server and the applications running on them. Are Virtual Servers or Physical Servers Right for My Business? Cisco estimates that by 2019, 86% of the business workload will be hosted in the cloud. Currently, many organizations are using a hybrid approach to data storage, which involves a combination of physical and virtual servers. The decision between physical and virtual servers should depend on a number of factors, including budget, need for performance, resources, and more. Join us as we review things to consider if you're deciding between server options. Virtualization also offers businesses the ability to scale up and down in relatively small increments. With virtualization, you are released from the cost of needing to commission or decommission servers. Regardless of the option you choose, fully understanding your business requirements is critical. The right virtualization vendor can assist in guiding you through the process of understanding which data, applications, and processes are most critical to your company's operations and health. Regardless of which route you go, understanding your need for performance is crucial to having the best experience with dedicated equipment or a virtualization vendor. Since virtualization servers are located offsite, you have an immediate advantage in terms of disaster recovery. In many cases, vendors with appropriate risk-mitigation planning can significantly improve your business continuity planning. Consider your company's ability to tolerate asset loss or periods of data unavailability when making a decision. Risk mitigation ultimately depends on the configuration of your dedicated or virtual servers. If your entire company's workload is balanced on a single piece of equipment located in-house or in a vendor's virtual environment, failure can be devastating. In many cases, companies are able to significantly mitigate risk by switching to virtualization vendors that offer appropriate safeguards against hardware failure and backups both on and offsite. The security of your physical or virtual servers depends largely on configuration, staff knowledge, and environment. Much like risk mitigation, these factors can vary significantly depending on a business's unique requirements and internal resources. For many organizations with minimal budget or hardware, switching to virtualization can offer significant gains in security protection. Many organizations' data assets are increasingly rapidly, which can present space-related challenges for IT teams. 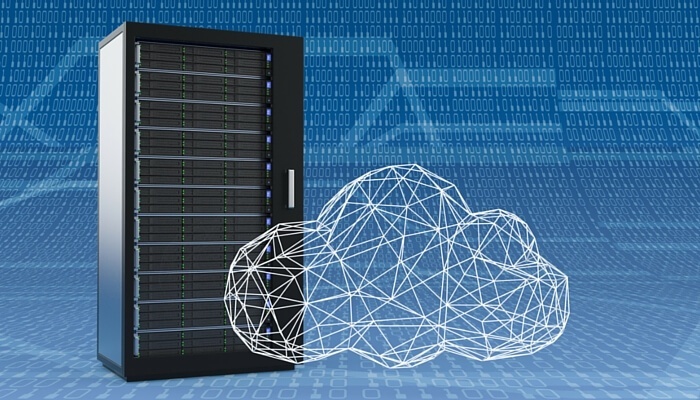 If you are running out of room to appropriately store and maintain temperature control over your servers, it's likely time to consider colocation of physical servers or virtualization. As your data assets increase, maintaining appropriate temperature and humidity can become more challenging. Does your staff have the knowledge and bandwidth to appropriately manage server acquisition, maintenance, configuration, and security? Perhaps more important, are they aware of best practices for increasing efficiency and realizing cost savings? Switching to virtualization can free your IT team from dealing with data storage and server management, allowing them to focus on other priorities and opportunities for cost savings. When you're virtual, adding more storage or processing power can be as simple as a conversation with your vendor. In most cases, it's significantly easier to scale your servers up or down with virtualization, since you're not responsible for physical server acquisition, setup, configuration, and testing. If your business's data assets or application needs are growing rapidly, you could significantly save time and resources by switching to virtualization immediately. Many organizations choose to slowly migrate their workloads to virtualization over time. If this is your intent, communicate with your vendor about their existing migration tools, and have a conversation about application compatibility. Don't let fear of complex migration stand in the way of your decision to go primarily virtual. Most businesses find that migration to virtualization, even when performed slowly over time, is much easier than they think. Certain types of workloads aren't mission critical and may not need to be deployed virtually. You may have certain data assets that do not contain payment, health, or other types of information that are subject to regulatory requirements. In these cases, using a basic physical server that you already own could be the right choice. In a case study at Westminster College, the IT team decided to use physical servers to store camera footage while moving most of their overall workload to virtualization.This decision was made because while camera footage is important, it's not mission critical. The Westminster team felt they could absorb the responsibility and risk of storing this data on premises, using a basic server that was already owned. If you are considering virtualization, ask for a copy of a potential vendor's most recent report on compliance (ROC) from an audit. Virtual vs. Physical: Which is Best For You? For most organizations, a hybrid approach to using both virtualization and physical servers is the right solution for the short term. However, an in-depth understanding of your company's needs for security, cost savings, and other factors is typically the best way to decide whether virtualization or physical servers are right for you. 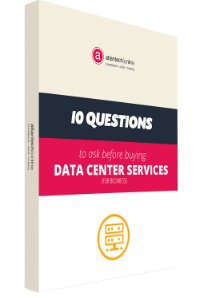 Atlantech Online offers data center and colocation services to businesses of all sizes. For more information on our business data offerings, click here.